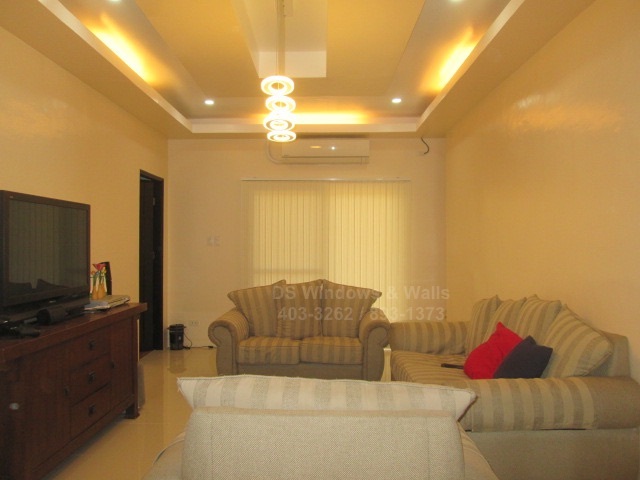 Welcome to a recently built modern house of our client found in Nueve Ecija that features an inviting, warm atmosphere with sophisticated design details and a perfect example of a simple modern home style. When it comes to modern architecture, it has something for everyone. There is always something appealing in modern design that attracts majority of homeowners nowadays especially our client. The fundamentals of modern design are clean and simple. It is expressed through the clear and clean lines and minimalist interiors and by eschewing unnecessary design details. But, despite the fact that this type of interior design is simplistic styling that prevents extra fuzz it remains unique and it even create some of the most beautiful interior designs to date in both residential and commercial world. Less is definitely more when it comes to decorating a modern home like our client’s new house. 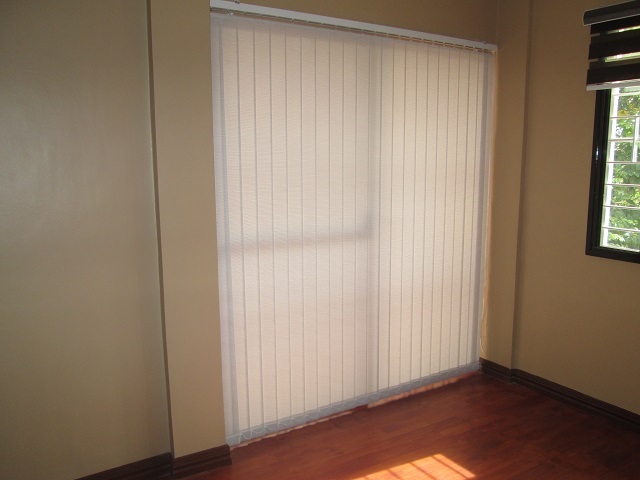 In order to make the most of your modern interior, your window blind options must match the color and style, which is why our client specifically asked for blinds that’s made of fabric and with soft tone color such as light beige or white. This type of home design feature elements that are naturally warm and inviting and constructed with large windows that lets in natural light. 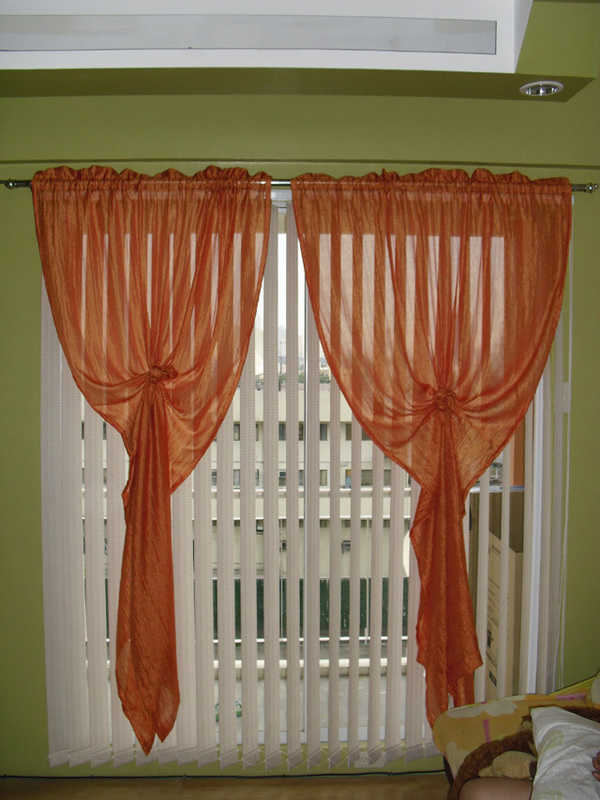 Because of this, the window treatment should be something that let’s some natural light in e.g. 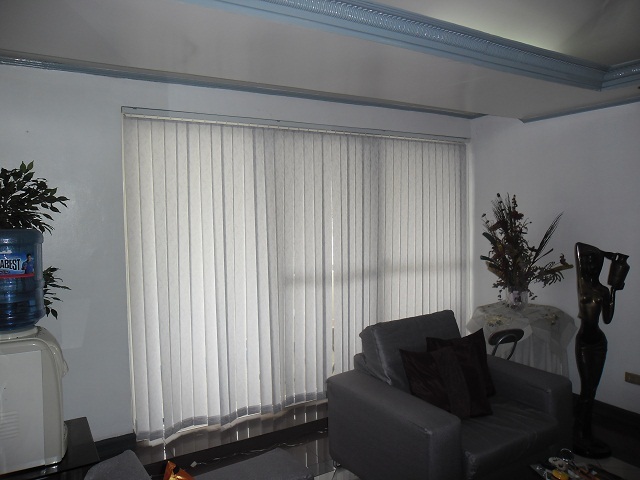 fabric vertical blinds (as opposed to PVC) while still offering enough privacy at the same time. 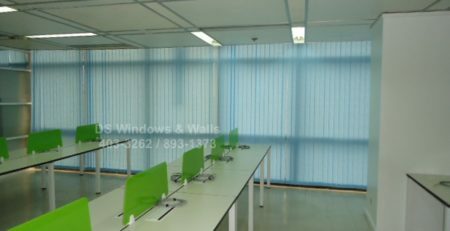 Among the many types of blinds, fabric vertical blinds will always stand out by its appearance even using the plainest color. 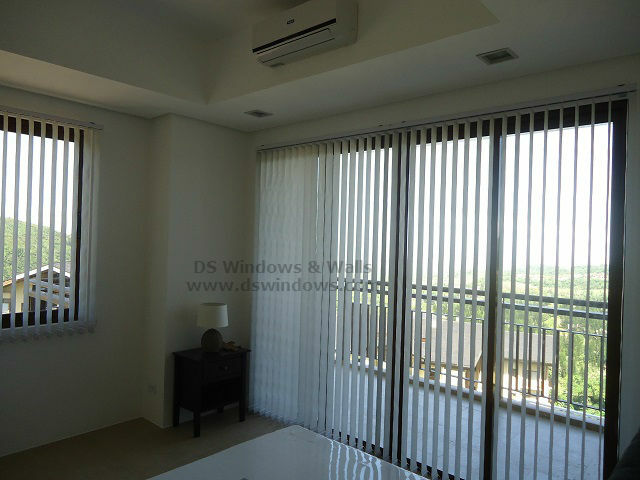 Our client opted fabric vertical blinds with subtle color to maintain the simplicity of the interior while its large slats help to make a statement of its own among the white walls in the room. The vertical line of the slats also adds enough edge in walls without making dramatic scene maintaining the minimalist look. 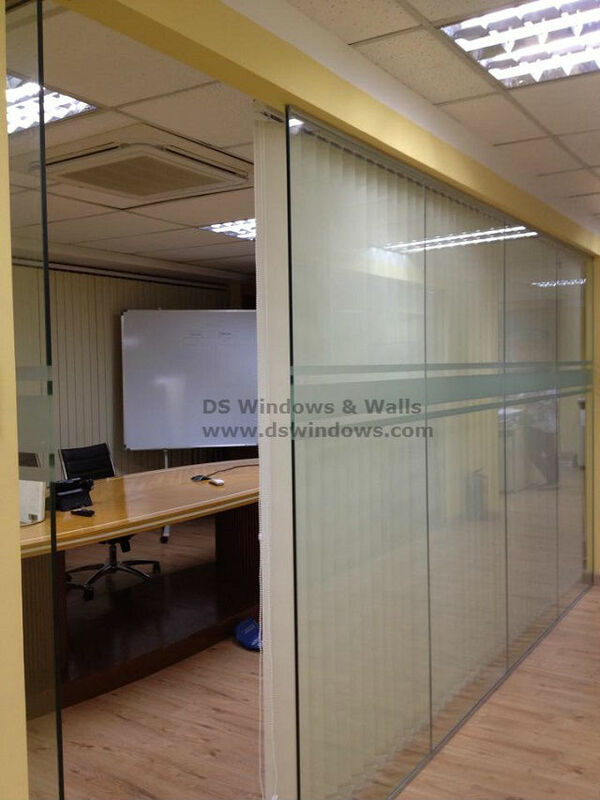 Fabric vertical blind can also appear drape-like that offers a homey feeling in the rooms, keeping the cold and hard atmosphere away while creating a seamless look. In all the images you can see in this article the interior design of this home is kept simple, clean and natural. The sophisticated lighting details of stylish chandelier, the modern furniture elements of the wood dining set and leather couch, and the soft tone for window treatments that help to illuminate the room with natural light while doing a great job balancing with white walls set the tone for this perfect elegant modern home. 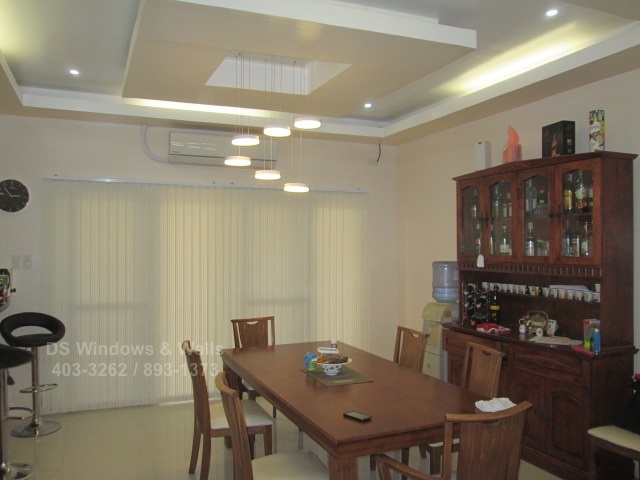 For more inquiries about our fabric vertical blinds product or for a free estimate please call us at (02) 893-1373 / (02) 403-3262 / (02) 668-9668 / 0916-311-3909 or visit our showroom at 2nd level Pacific Mall Lucena City, 3rd level Robinsons Metro East, Pasig City and 4th level Waltermart, Makati City.